Trust us. All guitar players will sooner or later run into problems with rattle and buzz from amps and speakers cabinets. Along the way we’ve learned a method to search for these faults. The following story has caused lots of frustration for us. Something good now needs to come out of this, so we’ll share it with you all. For several months a super reverb has troubled us with huge rattle and buzz noises. First we thought it was something in the room that vibrated, like some furniture or the walls or ceiling was shaking. The noise was really overwhelming and had a wide 3D spread. The BuZzZzZzZzz and TrRrRrRrrRr… noise only came over a certain volume, quite loud and resonated particularly well on the 5-7 fret on the D string. It did sound mechanical, not microphonic or electronical. Perhaps a loose screw, speaker, tube or some piece of metal. We placed the amp in the middle of the room away from other items and furniture that could possibly resonate and vibrate. It became clear to us that the super reverb amp was the source. But still impossible to determine whether it was the speakers, amp chassis or cabinet. The deepest bass frequencies were not distorted, so we ruled out broken speaker cones. That sounds more like BlaarRrRfFfhh anyways. Then we ruled out tubes and tube shields by replacing all tubes, one by one. We continued troubleseeking playing the normal channel keeping only the V1 and V6 preamp tubes in place. We then ruled out reverb or vibrato problems. It could be speaker coil rub which has a typical buzz sound, and sometimes only certain frequencies. Speaker coil rub happens when the coil is misaligned or misshaped, usually because the wire and coating has burned due to too much current. Or someone or something has bumped into the speaker magnet with enough torque to bend the entire speaker frame so that the coil is misaligned with the magnet gap. A bad speaker recone job can easily lead to coil rub. First we removed back panels and chassis strap screws and lifted out the chassis from the cabinet. We used a 3m speaker jack cable and a jack-jack connector to connect the amp and chassis together while we constantly plucked the guitar strings. We had to inspect cabinet, speakers and chassis separately. The reverb tank was removed together with the cables. We now heard the noise clearly coming from the cabinet, and not the chassis which was placed a few meters away. We hooked the super reverb cabinet with a different amp to verify that the cabinet was the problem and not the amp. We went on soldering and lifting out each speaker to isolate the possible source. Sometimes an erronous speaker will, if it sits in the baffle, resonate and buzz even if the cables are decoupled. You have to remove it entirely from the baffle. Surprisingly, all speakers worked properly! Not bad for 50 year old Jensens, eh? Made in Chicago, says it all. – Speaker screws and nuts. All were tight. – The handle and screws. All tight. – Fender logo and two small screws. Tight! – The grill cloth and staples. Tight. Finally, we nailed it. Can you guess what it was? The tilt back legs! Ahhh… in a certain angle the metal leg touched the cabinet corner made out of metal. When the wooden cabinet resonated at loud volumes the metal leg was rattling against the metal corner. Many years ago we did a terrible mistake selling a beautiful 1966 blackface Twin Reverb. It was in perfect technical and cosmetical condition. 100% original except new electrolytic caps. We have a picture of it below. The original RCA tubes worked perfectly and the sought-after Jensen C12n speakers with original paper cone defined what Fender clean tone is. It was indeed a profitable sale, but as the years go by money tends to be forgotten. Memories are not, and in times of deep anger and depression we have trolled bays around the world for another Twin Reverb. It’s not that we need a big amp for playing a filled 300-seat church each Sunday in a gospel band without PA, we simply just want the flagship of Blackface Fender amps in our collection so that our Fender friends and customers can learn whar Fender clean sound is. A few weeks ago there came an opportunity for us to score a Blackface Twin Reverb quite cheap. 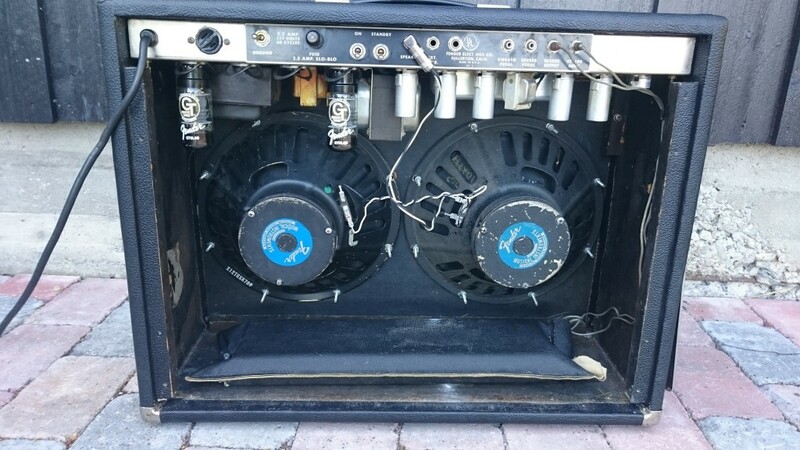 It was not in any comparable condition as the previous amp we had owned. It had a quite different appeal to us that we willingly lightened our wallet by 1500$. To quote Billy Gibbons, “I’m just a fool for your stockings, I believe”. What first caught our interest was the very attractive dark brown-colored grill cloth, indicating a long and interesting life in smokey bars with beer floating around on stage. The AB763 circuit was intact and had been serviced nicely with new Spraque electrolytic caps and new plate resistors. All 606 Schumacher transformers were original from either 1963 or 1964. Chassis serial number indicated 1964, tube chart also. The amp had a pair of Oxford 12T6 speakers who could have been the originals for this amp, but they were not. Manufacturer code 465538 indicated Oxford (465) year 65 (5) and week 38 (38). They had been reconed by Orange County Speaker many years ago. From an earlier 69 drip edge Pro Reverb we knew how good Oxford 12T6 speakers can sound. One more thing was not original, the tolex. 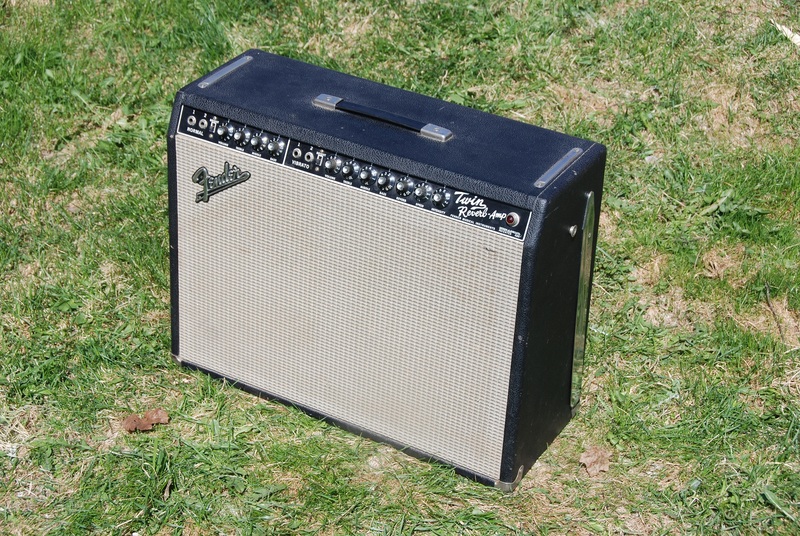 Even if tolex replacement is nicely and professionally done, it will reduce the price of a collector amp with hundreds or thousands of dollars. 1500$ was probably a correct price for this amp, we thought. After playing it, we did not regret . 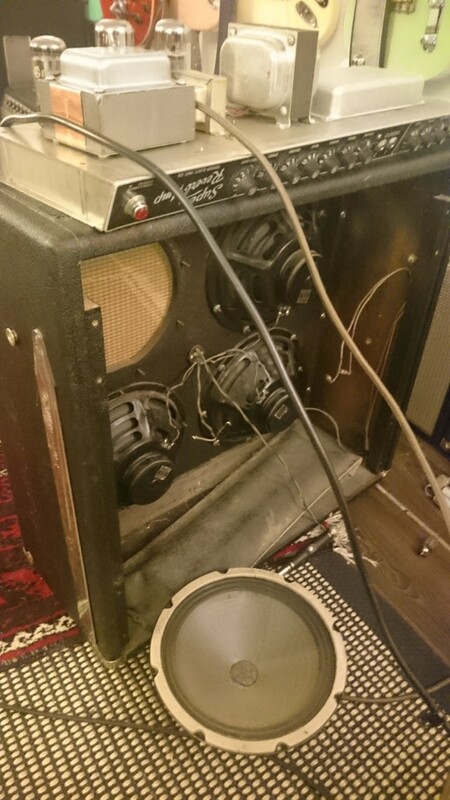 But first, when we unpacked the amp from its box and removed card boards and bubble plastic, we noticed broken glass in the back of the amp, inside the speakers and below the reverb tank, everywhere! Two of the four power tubes were broken inside their small, separate box. We had to vaccum the entire back room of the amp and inside the chassis. After that we had to tighten the usual screws and nuts on baffle board, speakers, transformers and chassis straps. The weight of the amp chassis and speaker baffle of a Twin Reverb presents a significant risk when transporting these amps. The old wood simply breaks. Sometimes we must repair the screw holes with glue and wooden toothpicks. Before powering up we set the remaining pair of Groove Tube 6L6GC in the two outer positions. We now had 40-45w in stead of 85w. Together with a diode rectifier and large power and output transformers, there is more than enough power. All you Bassman and Bandmaster owners know that. Next, we pulled the V1 12ax7 tube from the Normal channel, which we don’t need anyway, and inserted it into the V6 phase inverter position in stead of the default 12at7. Using a 12ax7 as phase inverter tube creates more preamp distortion in vintage Fender amps. These two tube tricks create magic with a Twin Reverb. The sound is looser, more cranked and mellower. The tubes in this amp seemed to be a random selection of various brands, probably just thrown in for no particular reason. Our strategy with tubes is “never change a winning team”. If they work, sound nice and are not noisy, we keep’em. Other tube strategies are expensive and time-consuming, in our opinion. With serious gig amps, we always test the amps thoroughly before lending them out. But with tubes, you’ll never know. This is the game of tube amps, old or new. You need to be prepared for changing the tubes at any time. Back to the Twin Reverb…. We hit a chord on our shell pink strat, the guitar we always use when testing amps just because we know it so well. The sweet spot where chord playing starts breaking up was around volume 5, bass 3, mid 6 and treble 4.5, bright switch off. The tone of the first stroke reduced our pulse and made us smile and laugh. We’d describe it as big, fat and full. The big speaker cabinet provides a deep bass tone everywhere around the amp. The strat came out very natural and unfiltered, and the neck pickup position tone had just a little amount of hair on it. The amp was not loud at all! The Oxford 12T6 speakers produced a perfectly balanced vintage tone, meaning no harsh sparkle and no bloomy bass notes, perhaps a little less loud than the Jensen C12n, but still very similar. No unpleasant things came out of this amps. Nothing that we could point our finger at in any pickup position. Everything was just as it is supposed to be, balanced and clear. Orange County Speaker’s recone work did not dissapoint us this time either. While we played for ten minutes our thoughts went to all of those who deserve to feel this great power and thrilling pleasure of Leo Fender’s flagship. What also pleased us was that the amp needed no maintenance other than tightening screws and nuts. We are rarely this lucky with buying amps from abroad, usuall some work is required. We probably won’t install a quad of 6L6C in this amp unless someone starts playing funky clean sound rythm in a gospel band. With expensive new or NOS tubes we would have gotten a few more watts, more bass and more sparkly treble, but that’s exactly what we don’t want. We want a vintage, non-perfect, flat yet balanced character. We have more than enough power and trouble (treble + bass) in this 85 w beast. The question is – how can you tame it? The significant difference between new reissue amps and old vintage amps is worn speakers and tubes. It means everything. Is there a difference between silverface and blackface Twin Reverb? Yes, there is. Not the first 68-69 transition models, but in the 70s the master volume was introduced and minor changes to power amp circuitry to make it cleaner and louder. Then came a 100w version and the 135w ultralinear version. The blackface Twin Reverb has less power, more breakup and a rawer tone. We also prefer the speakers in the blackface amps, Jensen C12n, Oxford 12T6 and sometimes JBL (amp weight 50kg!). In the silverface amps there was Rola, Eminence, Utah, to mention some. They sound different and “newer”. Take care. May the tone be with you. It’s been too long since we talked clean sound. Lately we’ve been messin around in the dirt with cranked Tweeds and low wattage Fender amps in the service of rock’n roll. Now let’s sober up. We’ll share our experience and advice in the hunt for Fender clean sound. And we’ll let our Strat loaded with Fender CS ’69 pickups do some of the talking through a 6L6 Deluxe Reverb loaded with the EVM12L speaker. Getting a pleasant clean sound is difficult given any brand and model of amp and guitar. It may be a reason why some don’t play clean as much as they should. They simply do not know how to select and combine guitars, pickups, amps and speakers. That’s why fenderguru.com is here to help. We all talk a lot about amps that take pedals well. How many times have you heard about a Strat-friendly amp? Not so often, we guess. But you know damn well what we mean, eh? Many of you are Strat players and love its scooped, quacky clean tone. You know how important the guitar setup is, proper string action, straightening the neck and correct pickup height. Not to mention finding good pickups that matches the guitar. Equally important is finding an amp that pairs well with the guitar. This search goes on for a lifetime. There are many dissapointments down the road and the journey is demanding and expensive. Once in a while you come across fun and inspiration and playing the guitar is joyful and gives you energy. You find a guitar and an amp that creates harmony between your music, fingers, ears, heart and soul. For us this happens when we discover a nice clean tone. A nice clean tone is not only beautiful on its own, it is the best starting point for pedals and amps to add layers of distortion and effects. Hot single coil pickups for strats have been popular the last decade. Many pickup builders offer various degrees of hot, particularly for the bridge pickup which many have found too bright and thin in most stratocasters. In this perspective the ’69 Fender Custom Shop pickups are not trendy or hot. They are in fact relatively weak and soft with low output and good sparkle. We have installed these pickups on our strat with Ash body, maple neck and braz. rosewood fretboard. Together with the Callaham tremolo bridge the neck offers a beautiful sparkle, and due to the general low output level it’s not harsh or brittle. There is also a deep, firm and chunky bass response which we credit the slighty thicker neck profile for. Our preference with strats is to set the neck straight by adjusting the truss rod and set the action high enough to avoid string buzz. The pickup height on this guitar is initially set at 2.3mm and 2.9mm on treble and bass side, measured from magnet pole to underside of string when string is held down at the 21’st fret. Then we adjust by ear to get a balanced volume as possible between the different pickup positions. The bridge output will come out slightly lower than the others, and we’d rather have that than sustain reduction, magnet pull and ice cold tone when the pickup is set too close. We selected our Linda Ronstadt Deluxe Reverb for this guitar, a 1971 Deluxe Reverb with 6L6 tubes, diode rectifier and a vintage EVM12L speaker. This amp shares the tone characteristics with the guitar; clean, “American”, scooped, sparkle, bassy and full-bodied. We set the amp in its sweet spot and plugged the guitar directly into it with no pedals. We’d describe this tone as sweet, juicy and naturally compressing with enough muscles in the low and and just the right amount of sparkle on top. This is what we mean by clean tone! The first Romeo and Juliet licks are played with position 4, clean, soft and sparkling. The bridge and bridge+mid positions are cleaner than the positions involving the neck and mid pickup, alone or together. Next in the video is Little Wing played in position 2, neck+mid, a little hotter than position 4. Then we go to Texas Flood with neck pickup/pos 5. 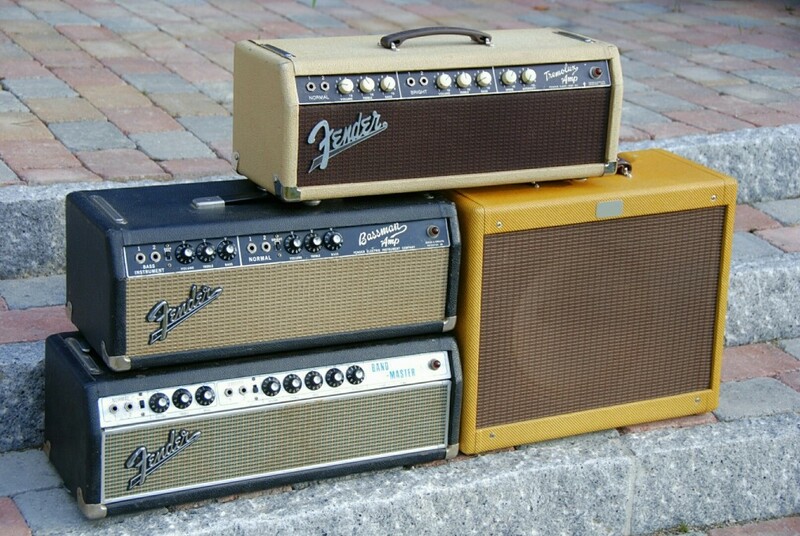 Which Fender amp era is your favorite? As you probably know all too well we at fenderguru.com are die-hard fans of the Leo’s blackface amps because of their tone, robustness, versatility and simplicity. Still, we have to admit that the oxblood grill cloth and the yellow tolex of the Blonde era have a more attractive look. Not to mention the Tweed amps with a timeless and exclusive design that makes all other amps cheap and boring. The picture above shows a Tweed Deluxe, a Blonde Tremolux, a Blackface Bassman and a Silverface Bandmaster lined up in a cold spring morning outside our house at the inner fjords of Oslo, Norway. 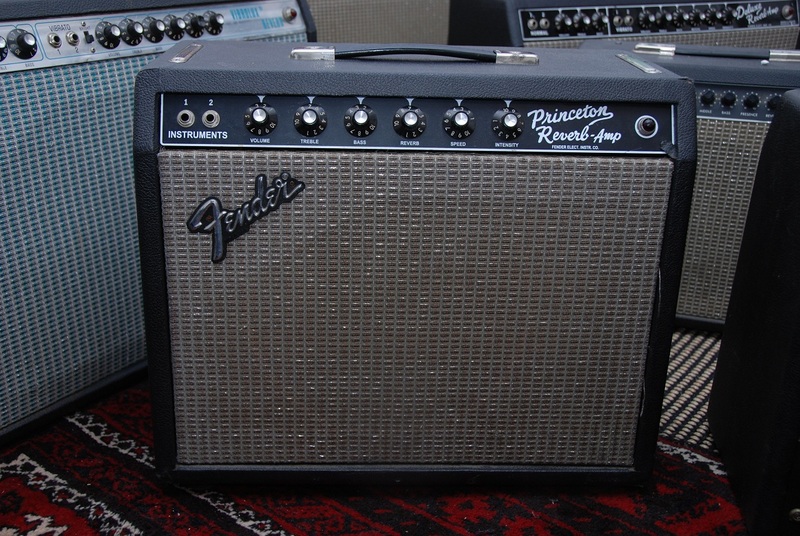 The various Fender amp models have gone through several cosmetic changes since the 40’s when Leo Fender started developing amps for guitars and instruments. Let’s list the vintage Fender eras below. These years are not written in stone, and between all eras there were various transition models, some more rare than others, where Fender mixed circuits, tolexes, grill cloths and face plates. Some models skipped a few transitions, such as the Champ that went directly from Tweed to Blackface in 1964. After 1981 came the transistor amps followed by a new series of blackface amps. Then was the Riviera amps and various reissues…. We have to stop here. Many people are defining the post silverface amps as modern amps, and not vintage. We are hereby sharing with you an interview with the founder of fenderguru.com, Jens Mosbergvik. He talks about a few Fender amps that has been important to him and what he has learned during the years as a guitar player and tech. 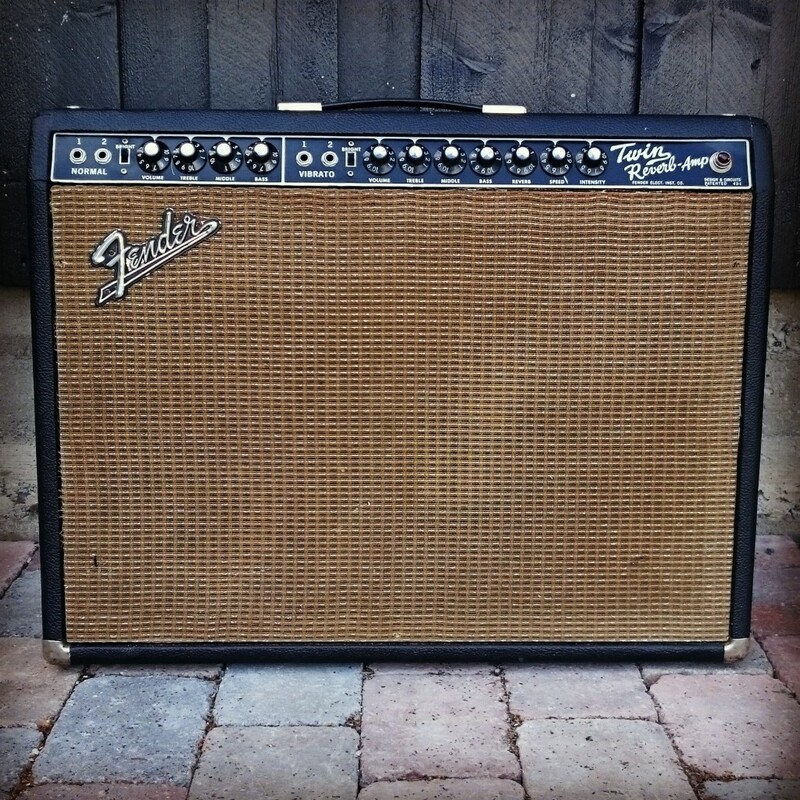 fenderguru.com: What was your first Fender amp? 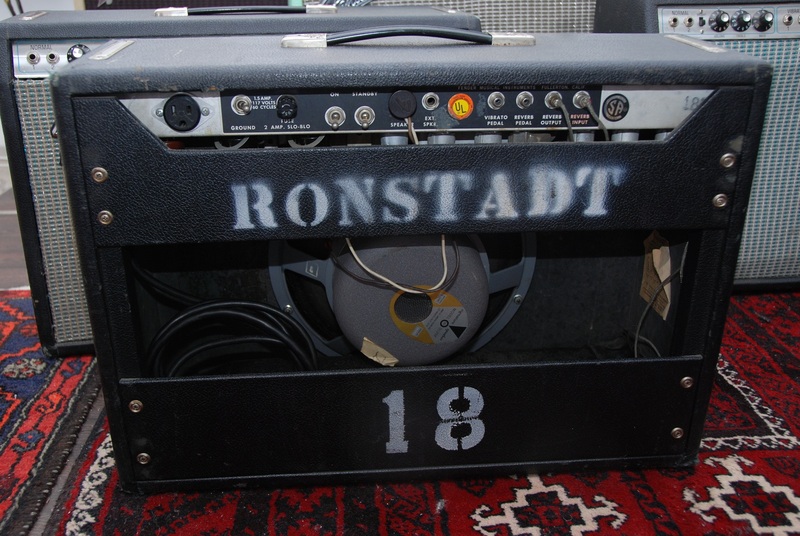 Jens: My first amp ever was a 25w solid state Fender Sidekick Reverb from 1983 with a blue-labeled 10” speaker. My parents bought it in Denmark street in London in 1983 together with a 1980 Japanese stratocaster which was my first guitar, not a very good one. The Sidekick reverb amp had gain, master volume and reverb. It sounded very boxy and small and a few years later, in the late 80’s, I bought a Marshall Valvestate 2x40w stereo 2×12” for my own money. My twin brother had the 1×80 watt version and we played licks from Eric Clapton, Gary Moore and Jeff Healey in our basement. 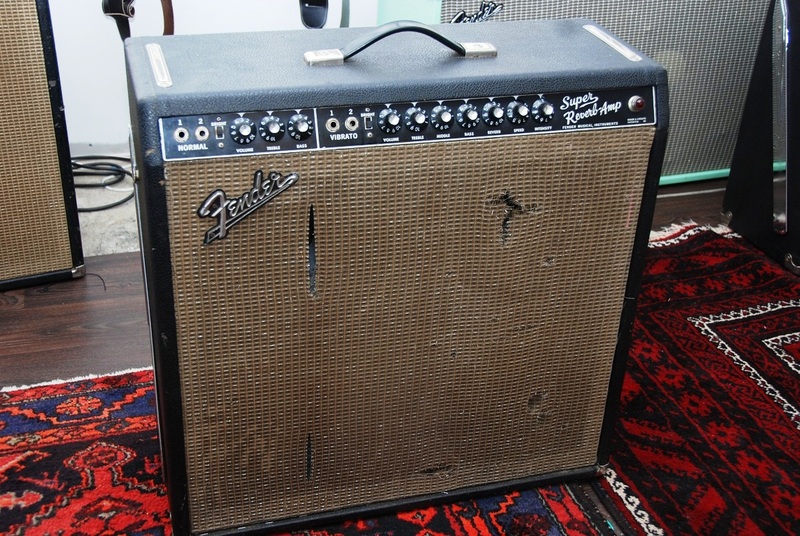 Then I was into Stevie Ray Vaughan and realized I had to get a vintage Fender amp. 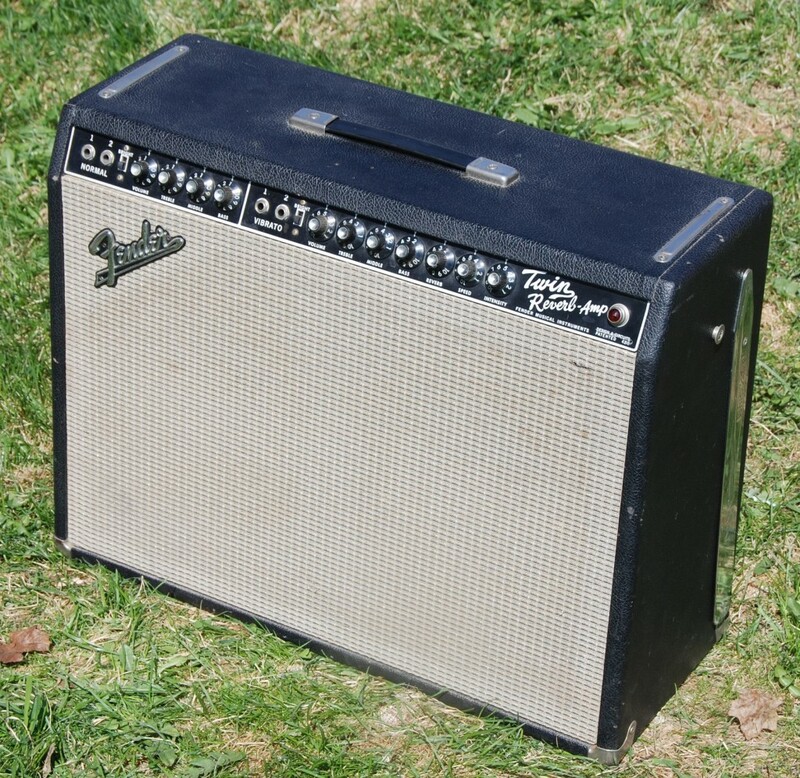 The first amp was a blackface Super Reverb, a pre-CBS AB763 model labeled Fender Electrical Instruments and dated Jan 1965. It was purchased at Tre45 in Trondheim, Norway while I was studying electronics and telecommunications at the Norwegian University of Science and Technology. It set me back 14.000NOK (2333$) in 1996 including an external step-down transformer. It looked terrible with a rough tolex with many cigarette burn marks and a grill cloth with so many tears you could see the speaker cones vibrating. The baffle was not very robust and both the baffle-cabinet screws and the speaker mounting screws were loose. The speakers were four non-original MojoTone 10RR from the early nineties that was loud, punchy and with a smooth treble. The amp was heavy, powerful, loud and with enough bass and lower mids to play smaller, unmiked gigs with a smooth clean sound. fenderguru.com: Can you describe the tone of that Super Reverb? Jens: It was clearly a player’s amp, not collector item. After it got new tubes and new electrolytic caps it was almost twice as loud as my brother’s 68 transition Super Reverb AB763 with original CTS Alnico speakers. My Super Reverb growled like a bear even with my thin sounding Olympic white 1995 US-made Stratocaster, which was my primary guitar at the time. This was before I knew how to get a decent tone out of a strat, which had a thin, flat sound with little sustain. The dark and mellow sounding amp paired very well with it. I had a cheap Boss OD3 pedal, which had some hizz and upper treble that came out very well in this amp. The amp actually sounded so good that my brother eventually sold his 68 Super Reverb and bought a custom shop 64 Diaz Vibroverb looking for a louder SRV tone. We learned later that the speakers was the reason our Super Reverbs sounded so differently. When we were twenty years old and played SRV-stuff all day long, volume and punch mattered more than anything did. Since I studied electrical engineering, I was curious to study the circuits of the Super Reverb. I opened it and was deeply surprised how simple it was, much simpler than the circuits we learned about at the university. It was just wires, caps, resistors and some tubes. Once we learned at school how to study AC and DC signals separately in circuits, it was not difficult to start service and experimenting with these amps on my own. I still have the blackface 1965 Super Reverb today. 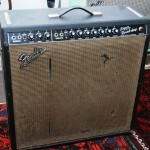 A few years ago, I replaced the grill cloth with a nicer one from a 1966 Super Reverb. I also installed period-correct CTS Ceramic speakers to get a vintage correct tone instead of the raunchy, rock’n roll Mojotone speakers. The CTS Ceramics are also loud speakers, louder than the Alnicos. Jens: I have often lend out my first Super Reverb to professional musicians and the response is always thumbs up. Some of my closest friends also nod their head when they hear this amp live. The tone is big, round and full, yet simple, natural and direct. What you hear is the guitar and fingers and I think it actually sounds and feels better on stage among the band members than in a room through a PA. Touch sensitive vintage style speakers through a clean amp will reveal all your mistakes, but that is how you become a better guitar player. The blackface and silverface Super Reverb are hard to beat, even for modern amps. Yes, there are sometimes scratchy pots and microphonic tubes, but everyone struggles with that in all amps no matter when they are made and of what materials. During the years, I have often reduced the headroom in Super Reverbs when playing on medium/smaller stages. The 12ax7 phase inverter and pull V1 is a must-have tube mod for me. I also think that YelloyJackets EL84 sound nice, almost like 6L6 but with a 20-25w headroom. fenderguru.com: You have probably owned and played a few hundred Fender amps during the years. Is there anyone particular that you would mention to our readers? Jens: In the last twenty years there are just two amps that I regret selling, both very nice looking and with a tone to die for. One is a 1976 silverface Princeton Reverb that I experimented a lot with after reading on forums that many people modified them to sound bigger, better and louder. Back then, I believed more of what I read on the Internet than I do now and I did not reflect that much on why people modified their amps to sound different. I got the impression that almost everyone installed a 12″ speaker, did the Stokes and Paul C mod and replaced the output transformer with a bigger one from a Deluxe. And so did I. But as my amp collection grew with the years with smaller and bigger amps, I started appreciating the Princeton Reverb more for the light 10″, 12w combos they are, perfectly suited for practice and smaller stages. 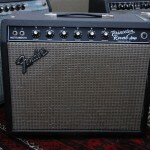 However, if you own just one amp, a Princeton Reverb, it is understandable that someone wants more from it. Anyways, my 76 Princeton Reverb soon got a new solid pine baffle cut for a 12” Jensen C12n speaker, a newer Italian reissue that sounded strong, full and bright with a much deeper bass response than the original Oxford 10j4. fenderguru.com: Can you describe the tone of that Princeton Reverb? Jens: If someone is looking for a quacky strat tone with the in-between pickup positions (think Robert Cray, early Mark Knopfler), the Jensen C12n is a winner in the PR. I also implemented the Stokes mod and Paul C to get more clean headroom and a smoother distortion without noticing as much change as I hoped. What mattered most next to a 12″ speaker was the bigger Deluxe output transformer and a 25K mid pot installed in the back where the ground switch used to be. When cranked, this amp was enormously loud. I also changed a resistor in the tremolo circuit to get a deeper tremolo effect, a common thing to do in silverface Princeton Reverbs. A colder 6V6 bias will also increase the tremolo effect because of how the bias-based tremolo works. This hot-rodded Princeton Reverb with a mid control was a hybrid between a Princeton Reverb, Deluxe Reverb and a 18w british vox/marshall combo, and the Jensen C12n in an open cabinet always ensured a flavor of the pure American Fender tone. The clean sound with a strat was incredible; almost as good as a 6L6 Deluxe Reverb with EVM12L, but what the PR really excelled in was a telecaster in bridge pickup position with the mids turned all the way up on the amp. You could play Stones and AC/DC with just the guitar and amp. Many players and musicians I have met were impressed by the tone of this small amp. I also installed a pre-CBS black faceplate. When there was nothing more experiments to do, I eventually sold it to a guy who paid well enough for it. I don’t remember exactly how much that was, maybe 12.000NOK (2000$). One year after I regretted and got myself another Princeton Reverb, this time a 66 blackface Princeton Reverb with an original Jensen C10n that sounded so well I could not believe it was possible. It did not need any modifications at all. The Jensen C10n speaker was just as good as its bigger brother C12n. A 10” is not as loud as a 12”, but it is long time since I realized that volume would not make me a better player. Since then I’ve also had several silverface Princeton Reverbs, all sounding different due to different speakers. Very few speakers are better than the Jensen C12n and C10n. The Celestion Greenback 10” is surprisingly good, though. fenderguru.com: What was the other amp you regretted letting go? Jens: The second amp I regret selling was a pristine blackface 1966 Twin Reverb AB763 loaded with original Jensen C12n speakers. Man did this amp have a clean tone from heaven. I bought it a long time ago for approx. 1200$ on US eBay. I didn’t buy it because I needed a big amp for gigs or anything. I just wanted to learn what the legendary 85w quad 6L6 Twin Reverb was all about. When I got this amp, I was not familiar with the Jensen C12n in these amps. After having played and serviced lot of amps, I think the American-made Jensen C12n are the best sounding speakers that ever came in any Fender amp. If you have a blackface Pro Reverb or Twin Reverb with Jensen C12n, hold on to it! There is no better tone using either factory-original or upgrade speakers, IMHO. It is pure vintage Fender with a slightly scooped EQ profile. They were robust too. It is a shame that the Deluxe Reverb never came out with Jensen C12n. Secondly, maybe it is a good thing. A Jensen C12n would have made the Deluxe Reverbs even more popular and harder to find than they already are. Next to the Jensen C12n, I think the Oxford 12T6 are great sounding speakers in Twin and Pro Reverb, much better than the other 12” Oxford, Eminence or Utah speakers. Back to the 66 Twin Reverb. I sold this amp quite suddenly when a customer came in my basement looking for an amp that could deliver a decent clean sound with his nr 1 guitar, a newer strat with Eric Clapton Lace sensor pickups. These pickups give a very strong signal. On top of that, they were adjusted close to the strings, which increases the signal strength even more. This specific guitar pushed the amp’s preamp sections so hard that he struggled finding an amp that did not distort even at medium volume. The customer was chasing a specific tone and not only did he bring his own jack cable, he even had his own power cable that lifted the ground and had several homemade magnetic rings surrounding the cable that removed noise. 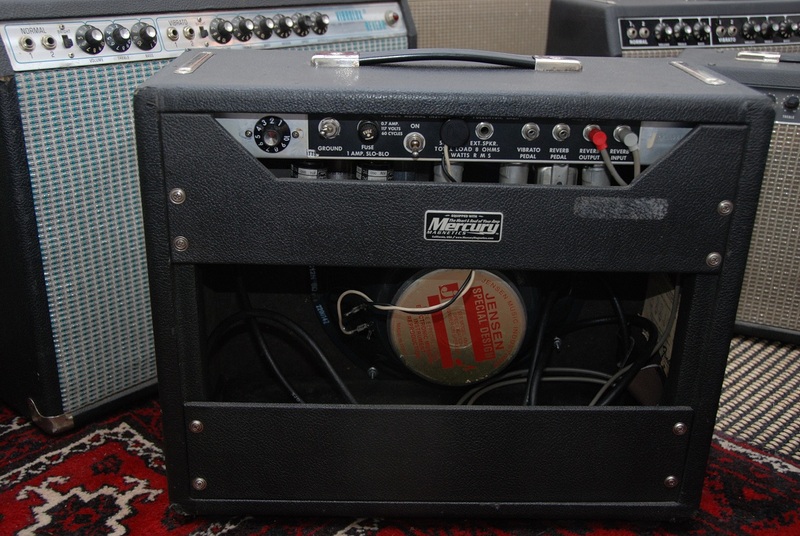 Whenever I touched the chassis of my amps he played in the basement, I got a 230V shock. He continued playing ten-fifteen amps including BF and SF Super Reverbs, new and old Vibroverbs, 60w Vibro-Kings with screaming Weber ceramic speakers, diode-rectified Bandmasters and Bassmans. He still was not satisfied. He then noticed the stellar blackface Twin Reverb standing in a different corner than the other amps who were for sale. I told him the Twin was not for sale but that he could try it. He turned on the amp and plugged in his guitar that was far out of tune, either because of bad intonation, magnetic pull from pickups, or simply out of tune. He played a simple D chord on the four last strings and after letting it ring for two seconds, he said, “I want it”. I seized the moment and told him that I could only let this amp go for a price that would get me another Twin Reverb with collector looks. Gladly he paid me 20.000NOK (approx. 3333$) for the amp. This was in 2011, I think. Sadly, I have not been able to locate a similar amp afterwards. Having that said, I have an equally nice 1966 Pro Reverb with Jensen C12n that brings the smile from me and anybody else that plays it. A slightly cranked Pro Reverb with Jensen C12n is one of the more beautiful Fender tones out there. Where the Twin Reverb stays evil clean above 4-5 on the volume knob, the Pro will gradually give you sag, compression and tube distortion. The small output transformer plays a significant role in all this. The Pro Reverb has more mids and more spread than the Super Reverb, and it’s not as loud and difficult to dial in a sweet tone. You can practically use any guitar with any pickups and get a decent tone. fenderguru.com: Which amps do you most often bring at gigs? 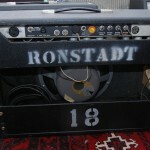 Jens: I think it is the “Linda Ronstadt” amp. It is a 68 Deluxe Reverb with 6L6 tubes and a vintage EVM 12L speaker. After I disabled the bright cap, the tone became liquid clear and not as sharp and trebly as it used to be. All Deluxe Reverb owners with bright speakers should disable the bright cap. The amp will handle pedals much better, in my opinion. The amp had initially a JBL d120f speaker that I replaced with an EVM 12L. The EVM 12L will take anything that is thrown at it. It even remains firm in the bottom over volume 6 and all the way up. Together with a strat in neck pickup it is magical, a mini-blackface Vibroverb. The clean tone with a strat is just superior to any other amp and guitar I’ve played. And I am serious when it gets to clean sound, that is primarily how I judge an amp. My Deluxe Reverb gig amp also has quite a few mods, such as; tremolo disconnect with a switchable trem intensity pot, mid knob in the back and a pedal-switchable NBF loop that goes in where the reverb pedal used to be. I never disable the reverb using the pedal anyway. I have just lately invented this NBF switch mod, which for me eliminates the need of a boost pedal on my board. When engaged you get a slight increase of gain, volume and treble which is perfect for solos and leads. It doesn’t require battery or power supply and there is no fuzz about true bypass. It does not steal or change the signal at all. It’s just more vintage Fender breakup! Since the signal going through the pedal is hot, you need to insulate the phono plug on the back to prevent grounding the signal when the pedal is switched on. 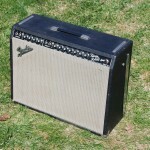 fenderguru.com: What is your latest discoveries of amps? 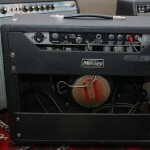 Jens: A cool amp that I would like to play more at gigs is the blackface Bassman with a few mods to lower the headroom. This amp is completely different from the other blackface and silverface amps since it distorts heavily at higher volumes. If you find the right speaker cabinet for this amp that are not very loud, you have a true rock’n roll amp with no pedals at all. Since there is no reverb, no tremolo and no speakers, nothing will ever break in these amps except the regular tube and pot wear. In 2050, I think the world will still see a huge amount of blackface and silverface Bassmans around on stages and clubs. It is not too late for you to get one of these. Good tone will not come to those who are sitting and waiting for it. You need to put effort in finding it yourself. It can be valuable to hear other peoples opinions and shared experience, but self-experienced practice is even more important for your learning process. In both business and music learning is about experimenting and failing. It is about speeding up time to failure and find the instruments and tone that is right for you while there still is time and motivation. Yesterday was a happy day for us in both theory and practice. The latest Tonequest report arrived in our mail box together with a complete Telecaster hardware & pickguard kit from Callaham Guitars. Coincidentally the wife is out on a trip to Stockholm this weekend. What are we going to do with all the spare time?? You’ve guessed the answer. 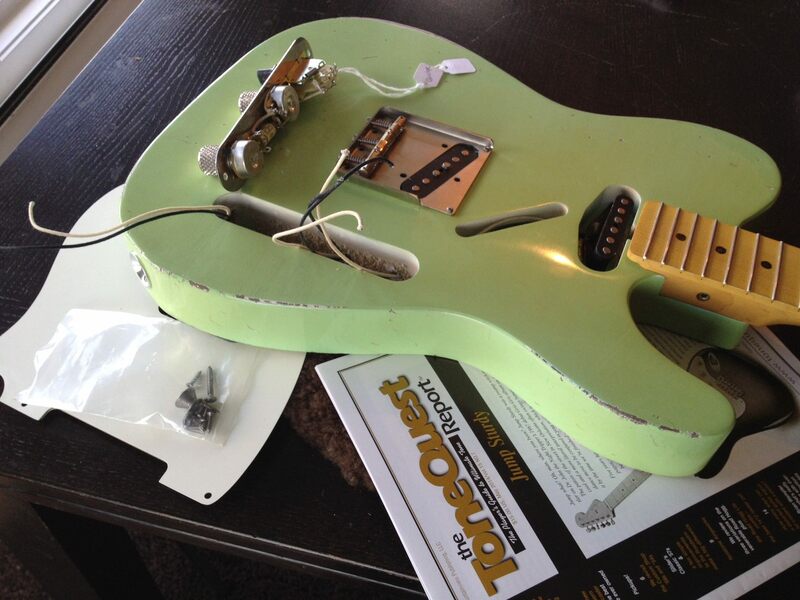 Assembling a new guitar, read Tonequest and drink cold beer while we listen to music, the meaning of life itself. 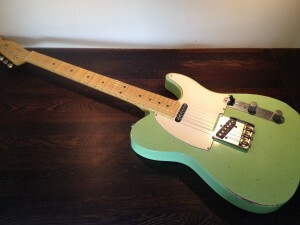 The guitar you see here is an aged surf green telecaster with a nitro-painted and reliced ash body from MJT Guitars. We usually like lighter reliced bodies and not the trashed ones. The neck is a quartersawn maple piece from Warmoth with stainless steel frets and a slighlty thicker neck profile than the regular “standard thin”. You need some wood to get sustain and good tone. This particular Telecaster shall serve as a rythm telecaster, so we went for the ss6230 frets which are a bit smaller than the regular 6105. Lower frets means low action and fast chords requiring minimum strength and left hand effort. To reduce friction against the neck wood, we used very light sand paper to wear and smoothen the neck wood between the frets. The pickups are Lindy Fralin’s Blues Specials. Lindy Fralin is our favorite pickup builder. You will always get clarity and balance in his pickups. When you hit a chord you can easily hear the note from each individual string. No muddy tone even at cranked levels. The Callaham hardware and electronics are high quality products that both sound and feel correct. The bridge and saddles are important for sustain. We had to add a treble bleed kit with a 120K resistor and 0.002µF capacitor to prevent treble loss when reducing the volume. Guitar setup was done in approx one hour involving adjustment of truss rod tension, string action, intonation and filing, sanding and greasing the nut. We also drilled each tuner a couple hundred rounds to lower the internal friction. A good setup will make the guitar more playable and it shall not feel like new. The latest issue of The Tonequest report features a very interesting article about the evolution of the Stratocaster during the years. We highly recommend The Tonequest Report (http://www.tonequest.com/) for our fenderguru.com friends.